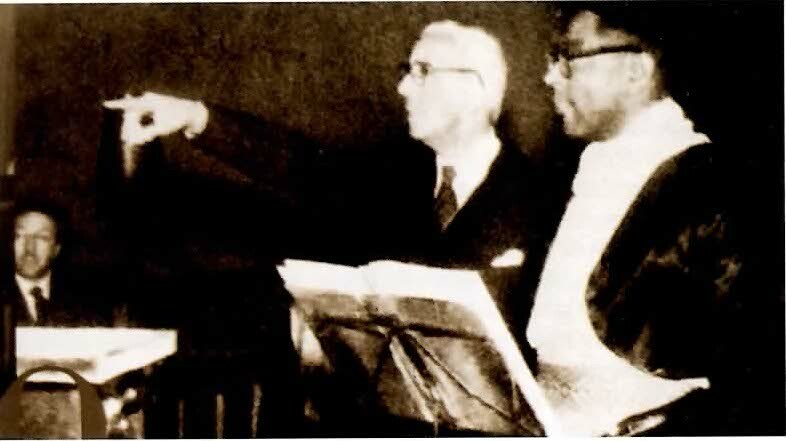 The other day while looking at the later Osvaldo Fresedo Orchestra I found a very nice recording of Vida mía from 1956 where the voice of the singer is substituted with Dizzy Gillespie‘s jazz trumpet. What a great recording! Most of the later recordings by Fresedo starting with the 1950s are to my taste not so well fitted for dancing in modern milongas (at least I haven’t found yet any usable tangos by Fresedo from this period). When Fresedo was performing in the USA at that time he even announced his music as jazz music. 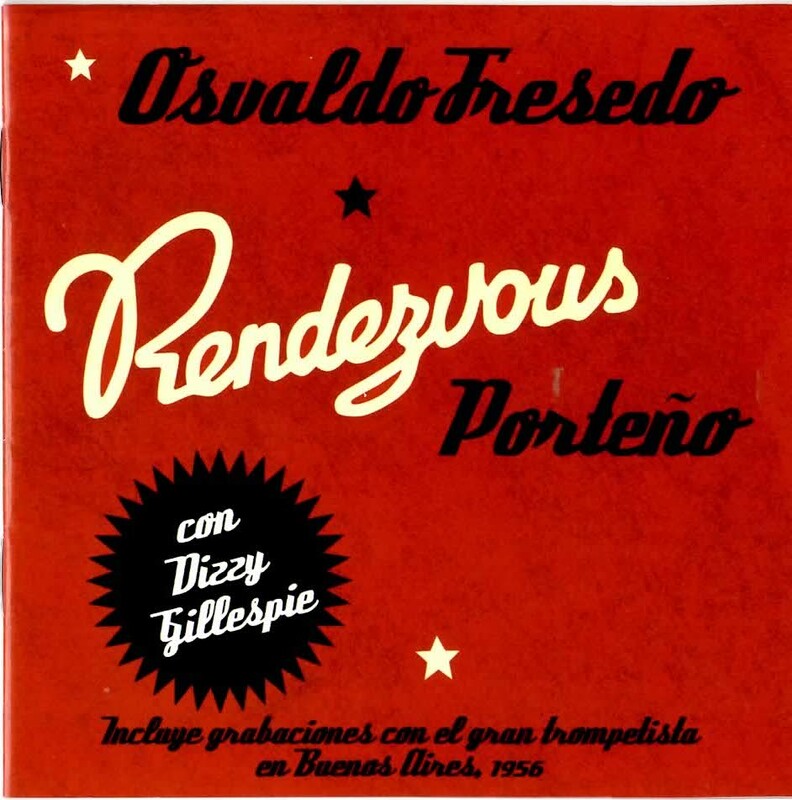 In 1956 the famous north American jazz trumpeter Dizzy Gillespie was on a visit to Buenos Aires and arrived one evening in Osvaldo Fresedo’s night club called Rendezvous Porteño. As the Fresedo Orchestra performed tangos from their repertoire, Dizzy Gillespie improvised on his trumpet. This was a historical meeting of two unique sounding musicians and a tangent between tango and jazz which mainly evolved separately, even concurrently at that time. During my dj-set on the 31st of December in Amsterdam on a new year eve milonga at the Academia de Tango, I have been looking for a nice last tanda which could be happy, profound and marking the turn of the year. The trumpet voice is ideal for literally blowing away the old year, some musical onomatopoeia, I imagine that it’s the sound of the angel passing by and sweeping away the old year. In the 4th piece the voice of Roberto Ray, the sweet singer, is getting replaced by the heavenly trumpet of Dizzy Gillespie . 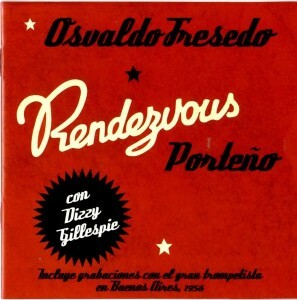 This version of Vida Mía is taken from the Acqua Records CD Osvaldo Fresedo Rendezvous Porteño con Dizzy Gillespie AQDP002. This album contains four tangos together with Dizzy Gillespie, all live recordings. The other tangos are mainly recordings from broadcasted radio of theater shows and the ending track is an interesting interview with Osvaldo Fresedo from 1968. By the way, I use at least one other tanda with a trumpet voice, it’s very present in the Francisco Canaro CD album Candombe, EBCD 108, which holds a selection of his tangos from 1941-1949. Especially when you listen to En esta tarde gris, the trumpet voice is very present, it is in the background though and doesn’t replace the singer. Some of the tangos on this collection have a very jazzy touch and can make a nice fresh dancing tanda.